"Spencer had been disciplined by the commission three times in prior cases that resulted in a 30-day suspension without pay, a public reprimand and a public admonition." Pretty pathetic. Disciplined THREE TIMES. (How many times was Danielle Gregory punished before she was fired? )...is there special protection for corrupt male judges over corrupt female judges in Indiana? Why are any of them around (including those on the Hall of Shame)...disregard for the law should be a one-way ticket off the bench. After all, most of these corrupt judges take children from mothers and give them to abusers, to the detriment of our children. MADISON COUNTY, Ind. 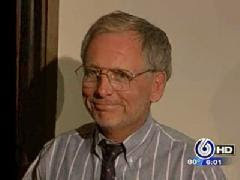 -- A Madison County judge will resign amid an investigation into his handling of a murder case.Circuit Court Judge Fredrick Spencer, 71, was the subject of a probe by the Judicial Qualifications Commission regarding the case of State v. Ward, 6News' Derrik Thomas reported. Spencer had been disciplined by the commission three times in prior cases that resulted in a 30-day suspension without pay, a public reprimand and a public admonition. His resignation will halt the current investigation. "For his actions related to a murder case, Judge Spencer has tendered his resignation to the Judicial Qualifications Commission. In light of his resignation, the commission is no longer investigating the case," said Indiana Supreme Court spokeswoman Kathryn Dolan. Former Madison County Prosecutor Rodney Cummings tried more than 30 cases in front of Spencer. While he had many public disagreements with the judge, he said he wished him well. "Careers come to an end. I hope for Judge Spencer's sake, it is a happy day for him," he said. "I hope, even though there have been issues that have drawn media attention, I hope it doesn't get overshadowed by some of the other things that he did." Friday will be the final day of Spencer's 26-year career as a judge.The Indiana Supreme Court will appoint a temporary judge to fill his position. His successor will be appointed by Gov. Mitch Daniels.